Imagine being the child of two parents of predominantly African descent. You have a skin tone like Akon’s, and your sibling of the same parents has a tone more like Ludacris’s. In the USA, you would both identify yourselves as Black or biracial. But in Brazil you would be preto (black), while your lighter sibling would be considered pardo (brown, not black). Sounds strange if you’re from the States. But among Brazilians of African and European descent, color determines race in Brazil more than it does in America. 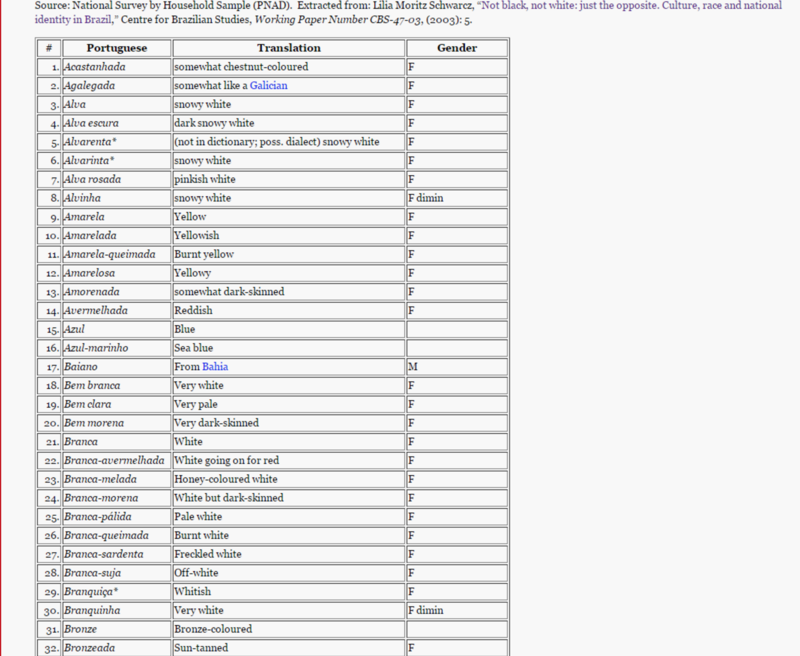 Terms like preto, pardo, and branco (white) are used for convenience in the Brazilian census. Amarelo (yellow, Asian-Brazilian) and caboclo (Indigenous and European/African mix) are terms that more specifically refer to one’s ancestry. But ancestry on the Black-White spectrum is not taken as seriously. The de facto understanding of race in Brazil is fairly simple: you’re thought of as Brazilian before you’re thought of as pardo, preto, or whatever. A 2003 survey asking Brazilians to racially define themselves resulted in more than 130 different responses. That would be baffling in America, but Brazilians definitely don’t use census terms in their everyday understanding of racial identity. Despite plenty of racial and ethnic mixing, America insists on housing people in several rigid boxes with boundaries the general population can’t even agree on. Does it make more sense to call Obama Black or biracial? Should Indian-Americans and Pakistani-Americans really be considered Asian-Americans? Will there ever be a consensus on the limits of the one-drop rule? The nation is growing to accept diversity within racial groups, but general perceptions of White, Black, Asian and Hispanic are still monolithic in the USA. Since Brazilians firmly believe the country’s multiethnic history is something they all share, it’s unlikely you would find a Brazilian who identifies strictly as White or Black. 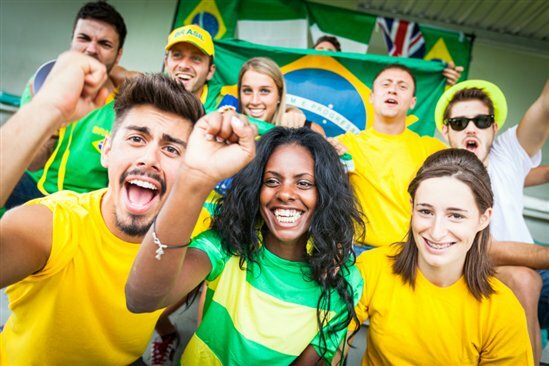 This acceptance of racial ambiguity makes for a stronger sense of shared national identity, a key distinction in the national racial climates of Brazil and the USA. It does need to be mentioned, however, that belief in a nation’s mixed identity tends to be enough reason for White South Americans to disregard inequalities that stem from racial differences. An article from The Economist captures this issue and investigates the complex ways in which racism works in Brazil. What Brazil’s post-slavery racial history lacks in violence and ideological battles, it makes up for in neglect and greater socioeconomic injustice. A stronger sense of shared national identity among Brazilians is offset by a dangerous level of socioeconomic inequality between their dark and light-skinned citizens. Brazil provides a more progressive look at interpersonal race relations while demonstrating the necessity of targeting socioeconomic inequality. For these reasons, Brazil is a good foil for the USA as both nations look to make progress in their unique struggles with race. 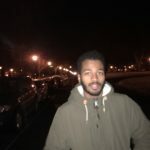 Next articleCan Producers Be Bigger Than Rappers? I’m sorry to burst your bubble but racism in Brazil may be stronger than the in US. Words like preto are used as insults and most dark skinned people don’t want to identify as black because it’s consider inferior. Mixed people and light skinned people want to be seen as white. Only recently have black movements been somewhat successful in trying to promote something like black pride, but it’s still very academic and associated with left wing politics. Brazilians accept they are genetically mixed because there’s no denying it, but they want to associated themselves with Europe because of its colonization process and they don’t even see themselves as latin americans. Thank you for your comment, Ives! We don’t mind bubble-bursting here at ATC. I know you can’t speak for all Brazilians, White or Black, but what do Black Brazilians refer to themselves as if “preto” is offensive? I’m really glad you’ve given us your perspective as a Brazilian. It’s no secret that racial inequality in wealth, quality of life, and positions of power are demonstrably worse in Brazil than the States. But I’ve always wondered how racism looked on a daily basis. The part about not viewing themselves as Latin Americans is strange to me. What do you know about how Brazilians receive racial justice activism? While Black Lives Matter and related rhetoric/movements face strong criticism in the USA, many facts of racial injustice have been accepted into the mainstream. Is the consensus view in Brazil still strong denial of any systemic problems?